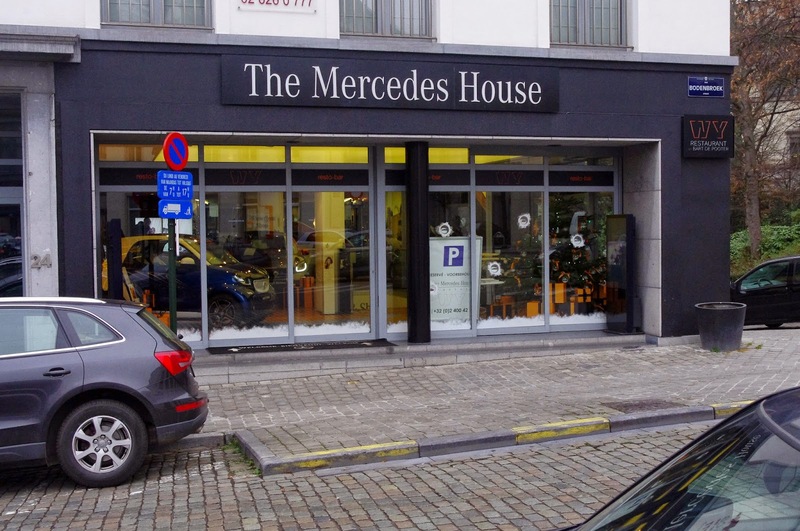 The Mercedes House is ideally located in central Brussels at the Sablon. 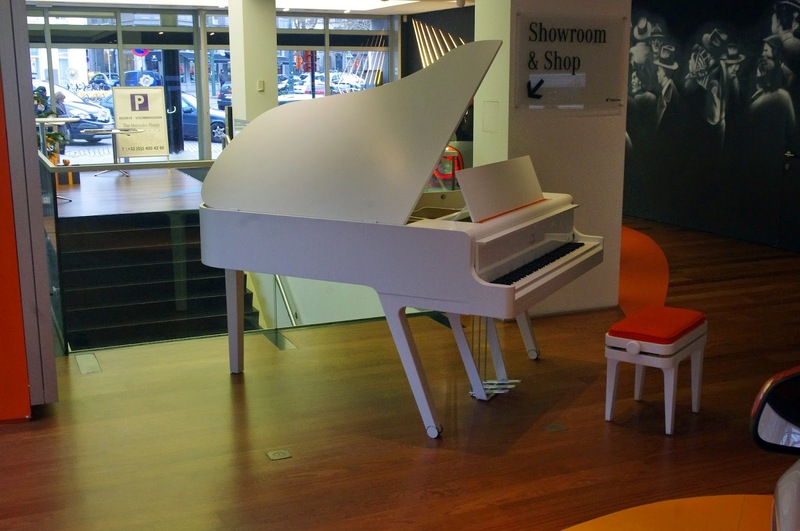 A showroom. bar and restaurant serving food and drinks all day long. We stopped by for a quick lunch that turned into a two and a half our dining experience! 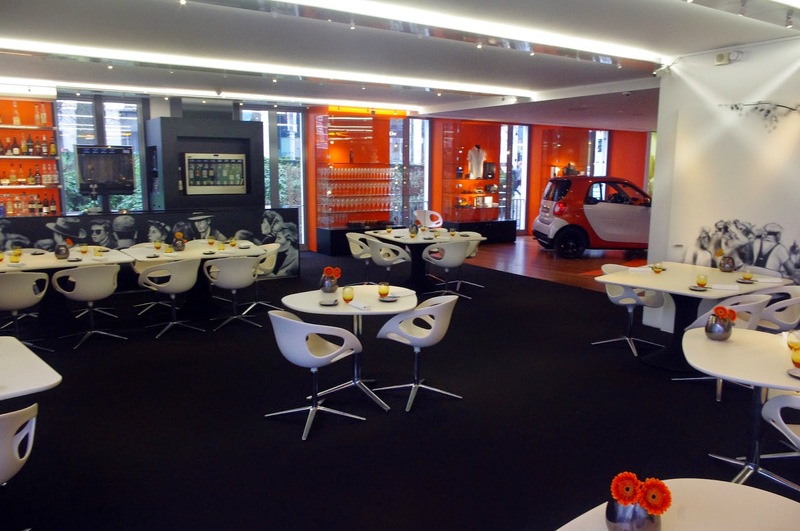 Initially unsure of how a restaurant would work inside a Mercedes showroom we were blown away from the moment we stepped inside. 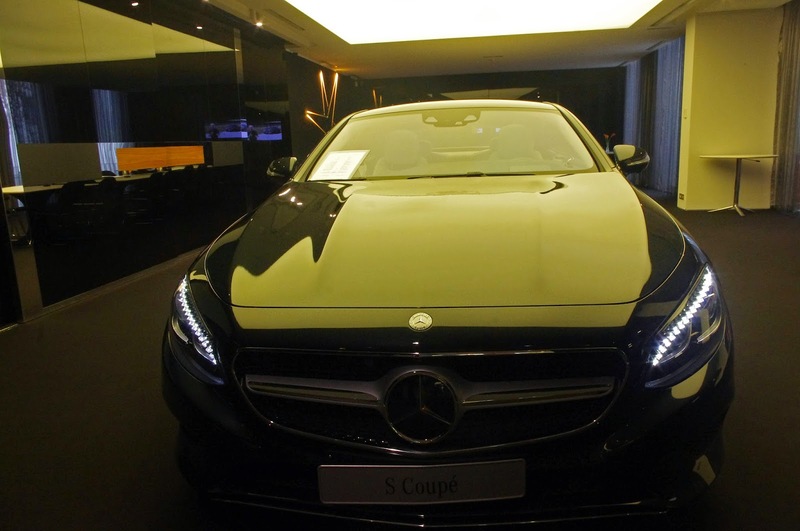 Sleek, elegant and refined; the white, black & orange colours that feature throughout are bold and elegant pairing well with the Mercedes brand. 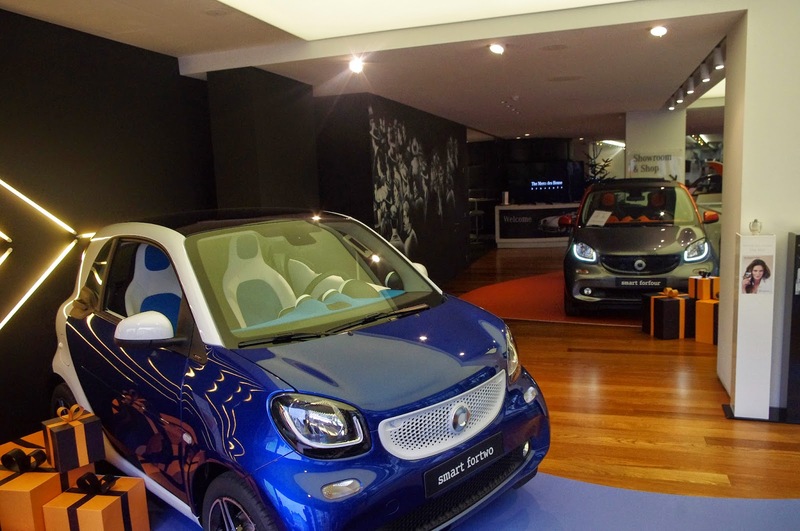 The young, enthusiastic staff welcomed us in the Mercedes House and ushered us to our table. We were extremely pleased and impressed with the service we received from our arrival through to departure. WY has a large range of wine varieties and so we were quite happy to leave the choice up to our trustworthy waiter by opting for the wine pairing. With wines from Italy, France, Portugal, Austria and Germany, our waiter matched each wine impeccably (and impressively) to each dish. With perfect English, friendly service and an evident passion for the industry we were incredibly well looked after. Our culinary journey began with an appetiser simply titled ‘Winter’. 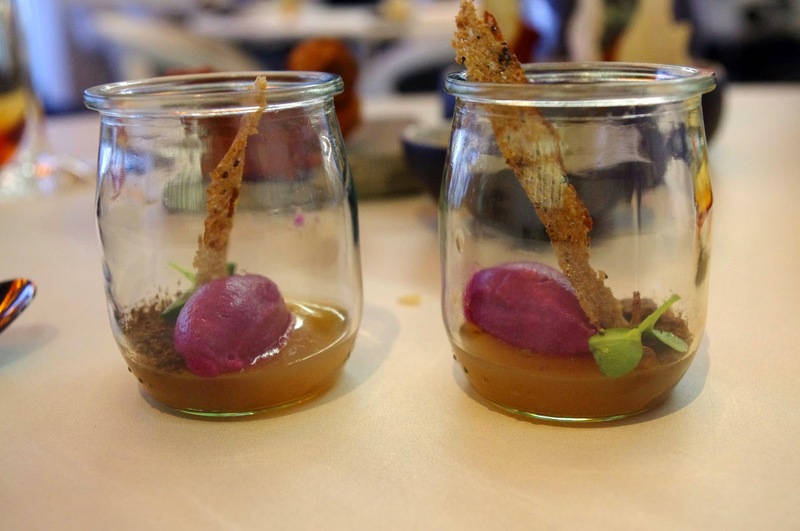 Served in a glass jar was a mouthwatering base of apple sauce with an ice cream of red cabbage with a delicate thin bread and topped with cinnamon it was a explosion of wonderful flavours in our mouth and the perfect way to begin our meal. Up next was a beautifully presented selection of mouthwatering finger foods. The unique presentation really made us appreciate the effort that went into every aspect of this dish. 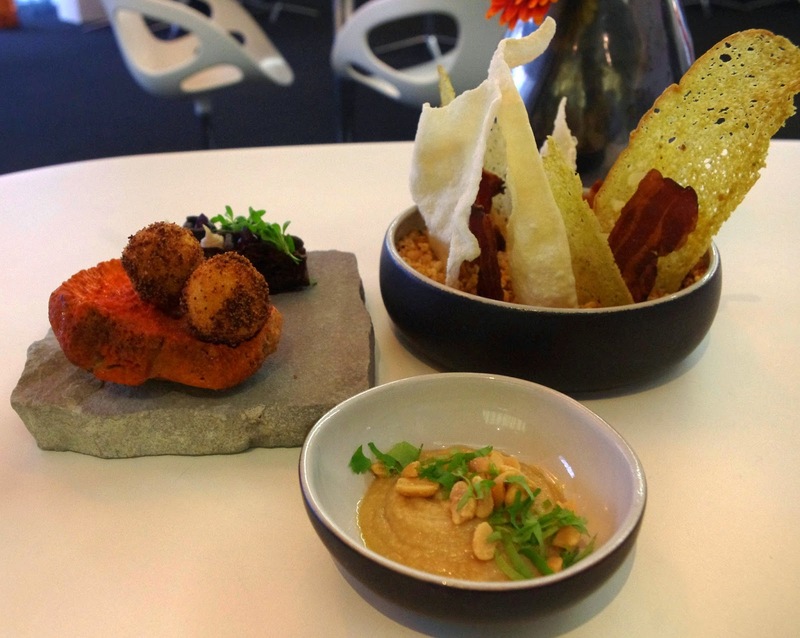 After we had finished admiring the dish we began on the croquettes which had a smooth delicious cream filling and the pappadums, bacon and breads accompanied by a delicious peanut dip. 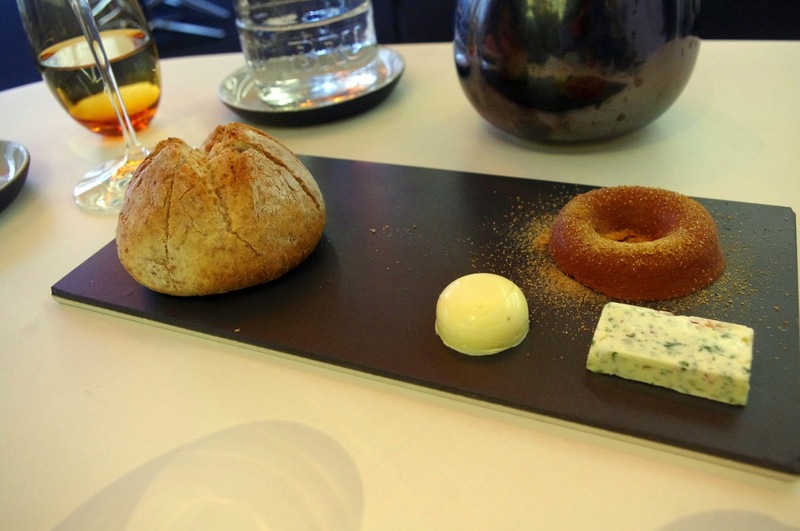 Hot, soft, freshly baked bread straight out of the oven was served on a sleek slate plate accompanied by a number of spreads including a donut of chicken liver, salty butter and butter made with fresh French spices and herbs. We devoured the warm fresh bread which simply melted in our mouth and lathered each slice with the delicious spreads. Dan preferring the donut of chicken liver whilst my love of spices and herbs drew me towards to French butter. It was safe to say the plate was completely empty by the time we had finished. Our next starter was a light, fresh, beautifully presented Oyster dish. Fun, fresh and colourful with a delicate nature. We were truly able to savour each detail and taste the individual flavours of oyster, beetroot, horseradish, fresh spices, lavender, mango and an ice cream of the oyster juices. Every ingredient works perfectly together in this dish and being a lover of healthy, raw foods I adored the combination of flavours. The head chef then came by for a visit with a surprise! We were brought over our next meal of duck liver which was in the process of being smoked. The lid was lifted so the flavours wafted out to us and got our mouths watering! It was then quickly covered back up and whisked back to the kitchen to be prepared for us. 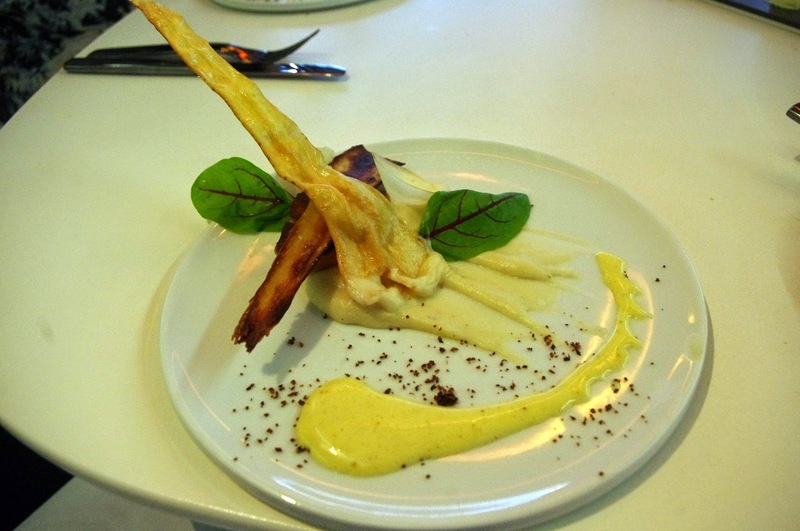 The smoked duck liver with fresh herbs including rosemary and thyme served with parsnips cooked in four ways. Again beautifully presented and a unique delicious pairing of textures and flavours. We loved the extra effort the chef made by bringing the dish to us whilst it was in the cooking process, it really tempted our taste buds and left us excited and wanting more! 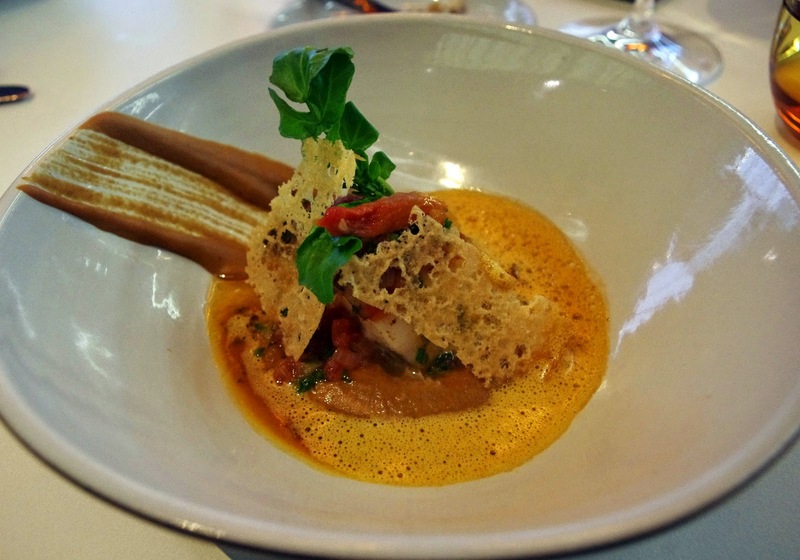 The fresh grilled cod fell apart in our mouths and was served with a bouillabaisse foam of blended garlic, sardines and tomatoes. The bruschetta like topping of tomatoes, garlic and herbs finished this dish by combining each aspect of the dish together. The ingredients in this dish are fresh and flavoursome and it was incredible blend of mouthwatering tastes. 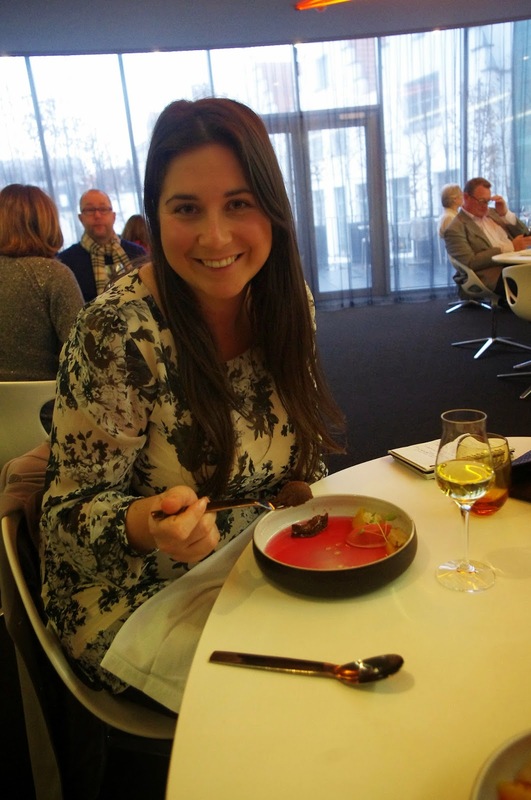 It was my personal favourite meal of our dining experience at WY. Next up was Dan’s favourite dish, the perfectly cooked wild boar. Succulent, delicate, tender and juicy it was impeccably cooked. The pairing with a red wine from the Cote de Rhone region France only further enhanced the incredible flavours. 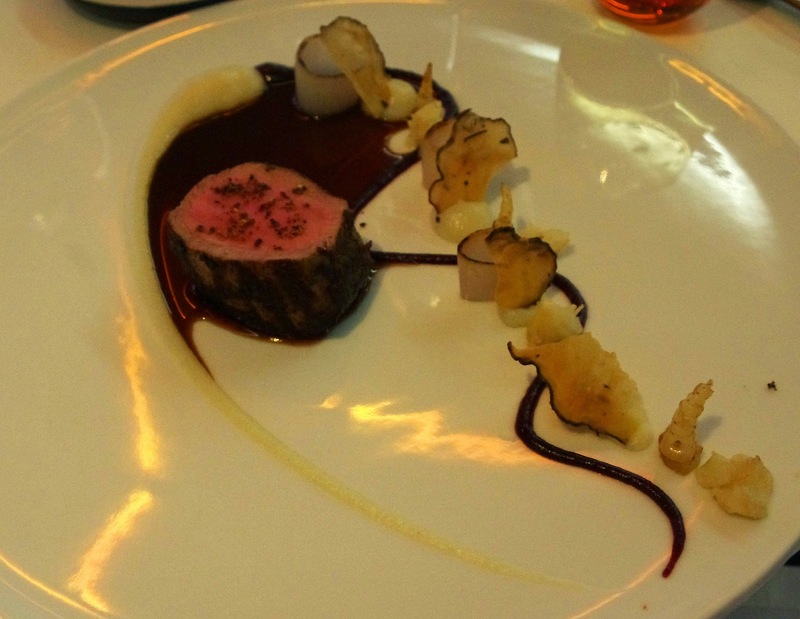 The delicate nature of the meat was served with artichoke, shallots and a rich sauce of artichoke and red wine. Dan sitting there with a huge smile said “I’ll never forget that,” summing up the pleasure this dish gave us. With very full and happy stomachs we then moved onto dessert which began with a sweet dessert wine sourced from Austria. A colourful, sweet and intricate dessert of chocolate cake, blood orange ice cream, crumble and fresh fruit flavours, it was as beautiful to look at as it was to enjoy. 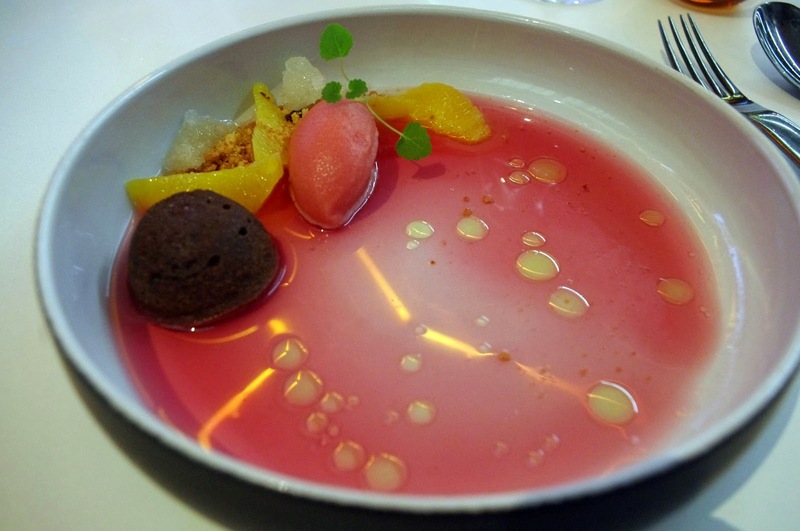 This sweet desert was the perfect way to end an incredible meal. 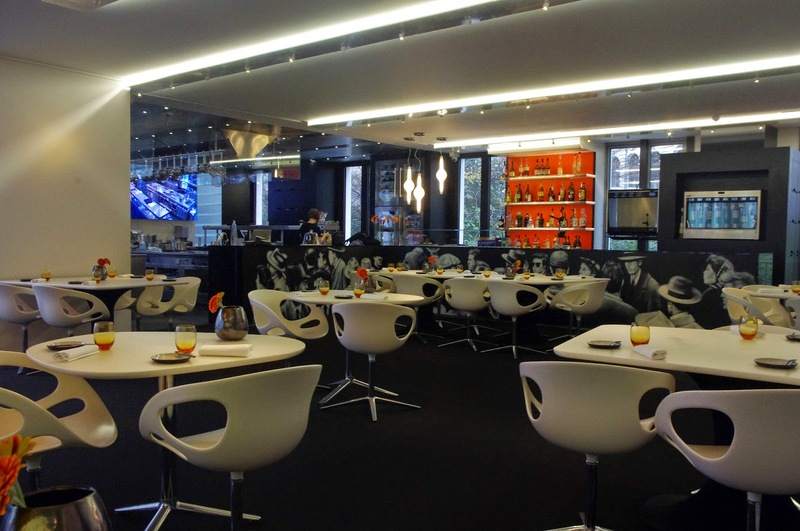 Another aspect that we loved of this modern restaurant is the open plan kitchen where you can see every move of the chefs cooking your meal, there is also a CCTV system installed where you can see your food being prepared on the big screen! 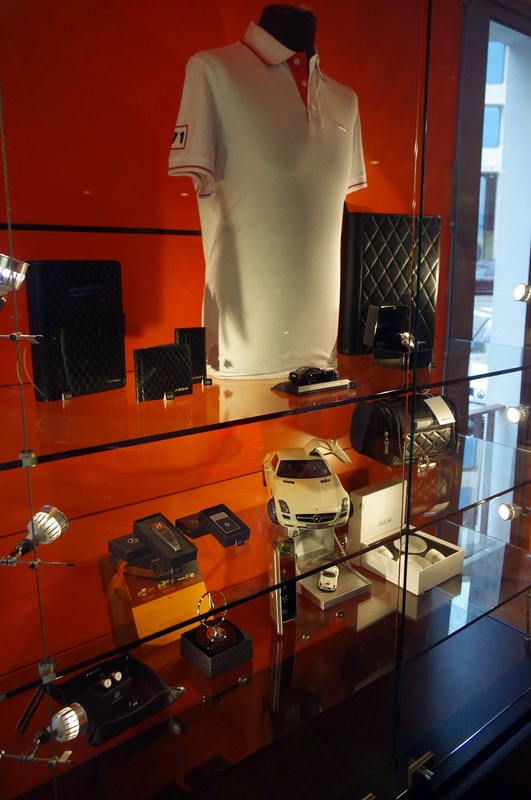 Last but not least, we thought it essential to showcase a few of the Mercedes House aspects of our experience. 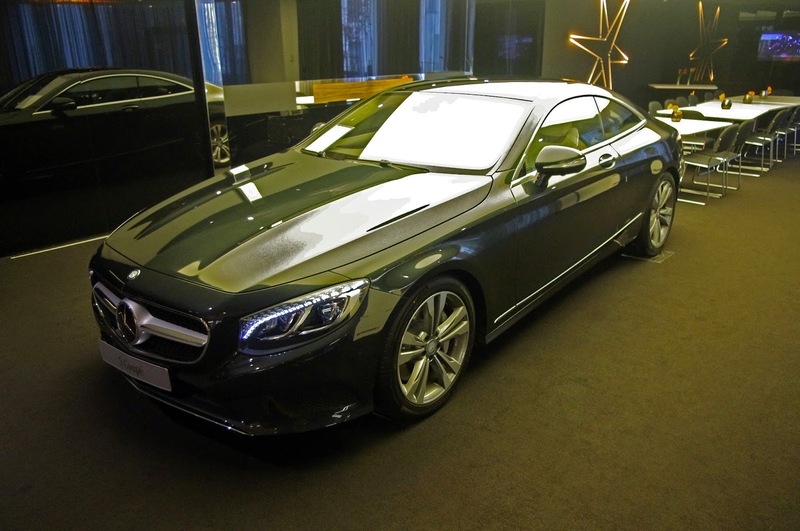 I was blown away with how well the collaboration between Mercedes and the restaurant worked together. Stylish, elegant, modern and unique there is certainly no where else in the world like it and it is the first car showroom and the first experience centre in the world to be awarded such a highly acclaimed culinary experience. 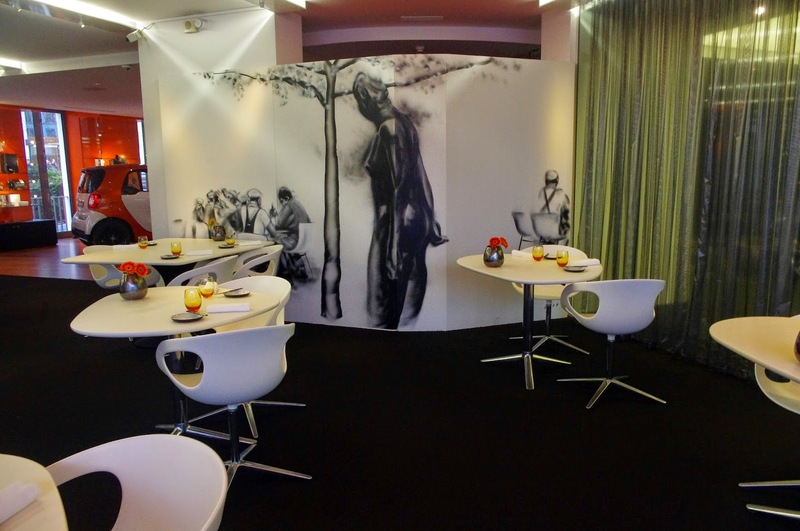 We enjoyed every moment of our meal and experience at WY The Mercedes House. 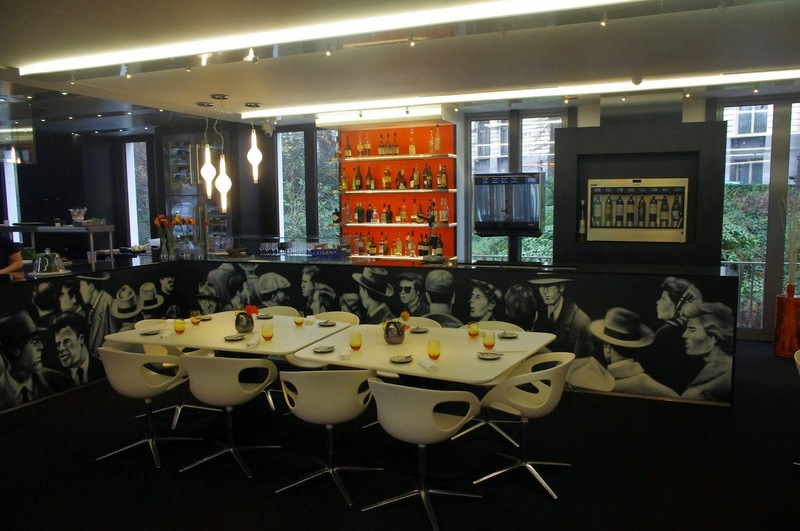 Unique, modern, welcoming and most importantly featuring incredible food… we have no hesitation in highly recommending it to anyone visiting Brussels. The Aussie Flashpacker was invited to review WY Restaurant.